Puzzle Directions: Click on a puzzle piece and drag it where you want it. When you connect two pieces correctly, they will join together. This is an extra hard double-sided puzzle. The same map is printed on both sides the pieces. Some of the pieces are turned over to the wrong side. To flip a piece over, hold down the "T" key and click on the puzzle piece. Mix up the pieces again. View finished map in pop-up window. 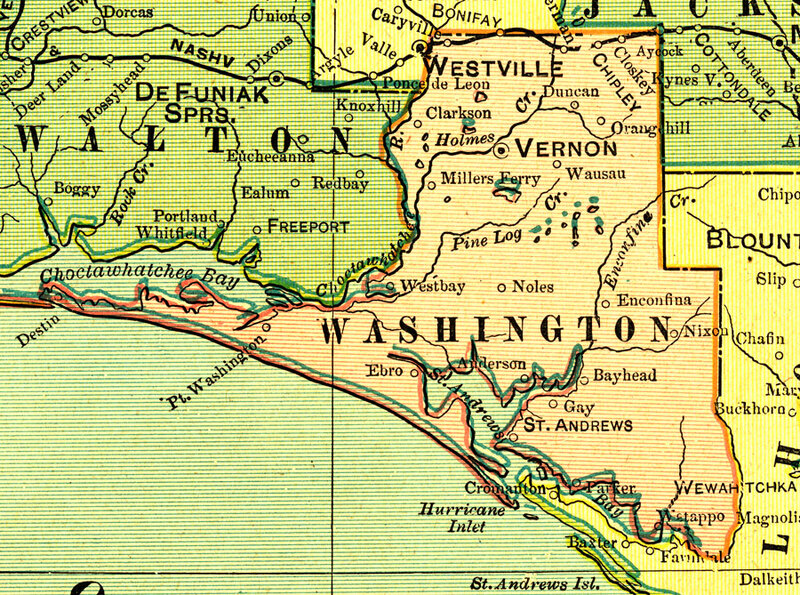 Description: A map of Washington County showing county lines, the county seat (Vernon), and railroads connecting the major cities current to 1909.